Finally a new release of MAME4ALL Dingux - it's up to version 1.2 now. - Added A320 screen brightness option to frontend. 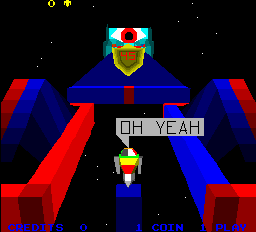 - Fixed bug with games containing multiple FM sound systems. Was allocating two identical FM tables and segmentation faulting when on exit (trying to free the same table of memory twice). This stops some games crashing on exit. - More speed and smaller executable. Perhaps some of the larger games may run now? See the included "whatsnew.txt" for complete details. If you have any questions, please refer to the "readme.txt" and "faq.txt" first! 99% of questions can be answered in here if you look first. By all means, ask if you are unsure. I, Robot runs really nicely now. 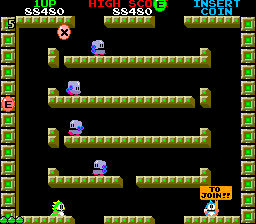 So does Bubble Bobble, though still needs a bit of overclock to run at 100%. Hey, it's got 3x Z80s and 1x M6801 to emulate! 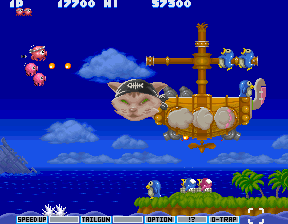 Parodius was the first game I got running back in v1.0. I still have more planned for the next release of MAME4ALL Dingux so stay tuned! As always, more speed and more compatibility.